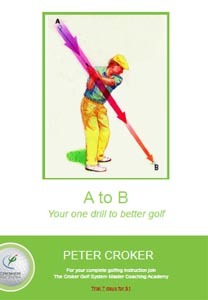 The A to B Your One Drill to Better Golf is great program for building power by learning how to compress the ball. You will gain increased club head speed and significant distance with all of you clubs. 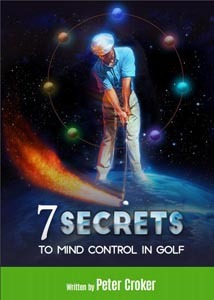 The book contains a wealth of information with 27 comprehensive videos. NB: The one hour lesson is only available in Victoria and Queensland, Australia. Golf is very much blend of mind and body. 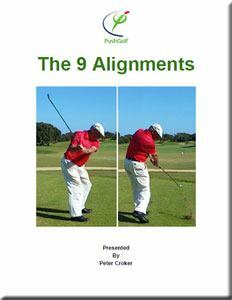 combination will allow you to go out and experience “instant results” with your golf game. 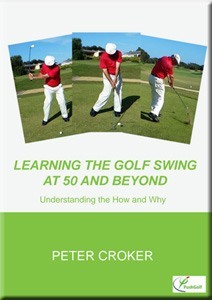 Peter Croker provides an in depth explanation of the essentials of an accurate, consistent, powerful, repeatable swing that is body friendly and within the capabilities of all golfers, no matter their age. 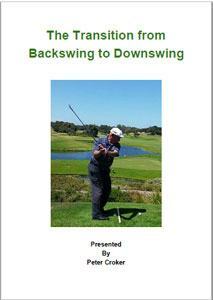 The book includes detailed explanations of the how and why a good golf swing takes the form it does. 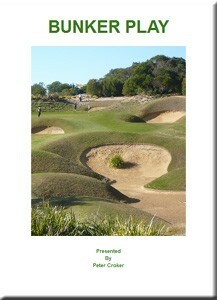 It is supplemented by video explanations and instruction, and includes the full swing, pitch and chip shots. 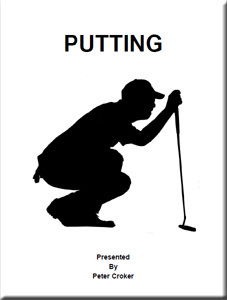 Learn to play with your injuries and bring the fun of golf back into your life while getting fitter and healthier. 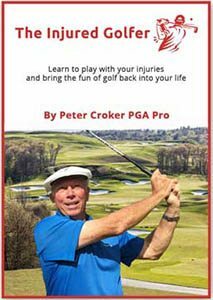 Peter will show you how to play with common injuries to your arms, hands, wrists, feet and ankles, as well as knees, hips, tendinitis and back injuries. This also includes playing with hip and knee joint replacements. 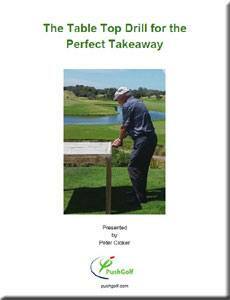 This series of 74 videos is the most in depth explanation of how to build the swing Peter Croker has ever produced. Peter is a great believer in building a swing from the ground up, and he has done so here with incredible precision. 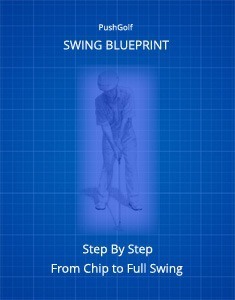 Starting with the grip and stance, he moves to a thorough explanation of the impact position, the chip shot, the chip pitch, the pitch chip, the full pitch and finally the full swing. 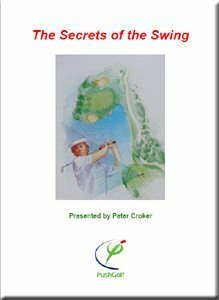 In this set of 14 videos Peter Croker demonstates in a comprehensive but concise way how the various components are assembled to build a powerful, consistent, repeatable orthodox golf swing. Of particular significance is what he reveals in relation to what the hands do in the swing. Once you understand and implement this critical component into your swing, you are sure to see marked improvement. Unless you get the takeaway right consistently, it is very doubtful you will hit consistent shots. Yet this aspect of the swing is often glossed over when people are either learning the swing or trying to correct problems that arise with an already established swing. In this drill Peter Croker shows you how to perform the takeaway so that it not only sets you on the right path for the rest of the swing, but also takes you to the completion of the backswing hip pivot. In the geometry of the swing there are 9 essential alignments that when performed correctly enable the club to travel in a circular orbit easily and without any steering.